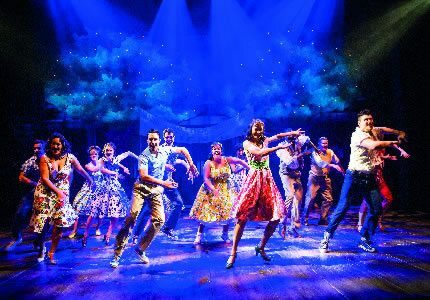 Following a critically acclaimed, sold out run at the Chichester Festival Theatre, Richard Eyre's sensational production of Broadway classic The Pajama Game transfers to the West End for a limited season. 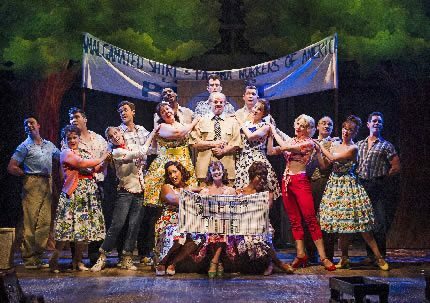 Starring Joanna Riding as Babe Williams and Michael Xavier as Sid, the show is a tale of love at each side of the picket line. 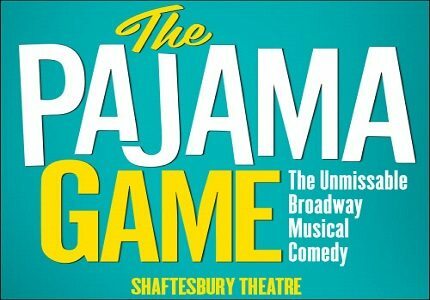 Set in a Pajama Factory, the show tells the tale of workers who believe they are inline for a raise and their stingy boss who refuses to up their earnings by 7 and a half cents an hour. Despite Babe and Sid's blossoming romance, they find them selves at odds from different sides of the row.